We got straight onto the gin when we arrived and Edinburgh Gin is a brand I’m familiar with as I’ve purchased their Raspberry Liquor for my boyfriend before so I wanted Sophie to try their wares as she is a gin lover. She was certainly impressed and left with a bottle of their Christmas Gin. Next we spotted Seeds of Change‘s stand where they were giving out sample pots of their spinach pasta with tomato and basil sauce, it was really yummy and they gave me some vouchers to get money off my next purchase of their organic food. I also got a couple of packets of basil seeds from them which I am looking forward to growing! Bahlsen make my favourite biscuits – Choco Leibniz – but I didn’t know about all of the other products they make such as Lebkuchen, the classic German Christmas biscuits which I’m also a huge fan of. We must’ve walked past the Jazz Apples stand at least three times and couldn’t resist grabbing a slice of juicy crisp apple each time. On our final visit we finally bought some apples! One of the great things about the BBC Good Food Show is all of the show bargains on offer. For example Wyke Farms were selling 4 different blocks of cheese along with a block of butter, and either the mug or the bag pictured, for only £10! Such a bargain considering one block of cheese is around £3 in the supermarket. I love sweet potato crisps but I’ve only ever seen salted ones in the shops, so I was excited to see that Glen of Antrim have created mutiple flavours including the irish whiskey and salt & vinegar flavours pictured. They also had cheese & onion and chilli. I tried some Salted Caramel Vodka from I Heart Vodka and it was deliciously sweet. Certainly one for any fellow sweet tooths out there! Frobishers had some delicious cordials which they’ve just recently added to their range. I tried the Sloe & Raspberry and the Lemon & Mint and really enjoyed them both. They are available in Waitrose. We went to watched Mary Berry do a Q&A on the Lakeland Good Food Stage. She was interviewed all about her Christmas food plans and she revealed that she is going to do a TV programme next year where she goes to stately homes around the country to look behind the scenes and meet the families that live there, I can’t wait to watch it! Mary Berry has a new range of kitchenware which is absolutely gorgeous, I love the pastel colours and grey details. This is definitely going on my Christmas list! We headed to the Super Theatre to watch Paul Hollywood do a demo of a dessert called kransekage, which is a tower of marzipan rings sandwiched together with chocolate. He was chatty and open with the audience about The Great British Bake Off and his other plans for TV shows next year. An audience member got up on stage wearing this apron and the camera man wore one too! It was very funny but Paul was not impressed! This was the final product! The Renshaw Academy were also on site at the show holding classes to teach you how to work with sugarpaste and maybe even make a masterpiece like this one day! I adore maple syrup and I grabbed two bottles of Pure Maple which is absolutely delicious as well as being completely pure and not mixed with anything else like some other maple syrups are. We watched Lisa Faulkner, who is an actress that won Celebrity Masterchef in 2010, she made a strawberry milkshake cake and her latest book focuses on family recipes. 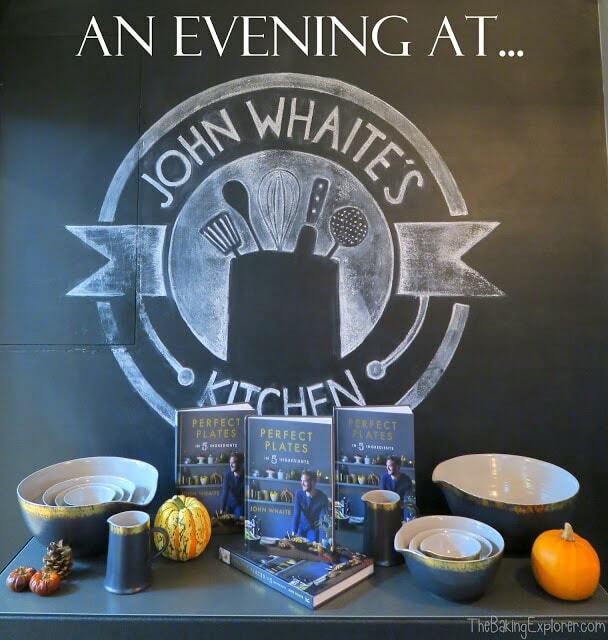 We ended the day watching John Whaite, the winner of The Great British Bake Off 2012, demo two recipes from his new book – Perfect Plates In 5 Ingredients. He made a Sweet Potato, Gruyere & Pecan Gratin and a Orange Self Saucing Pudding. Both recipes looked delicious and John really entertained the crowd, everyone was in fits of laughter including myself! We had a great day at The BBC Good Food Show and I’m already looking forward to next year! In the meantime there are the summer shows, check out the BBC Good Food Show website for dates and tickets. 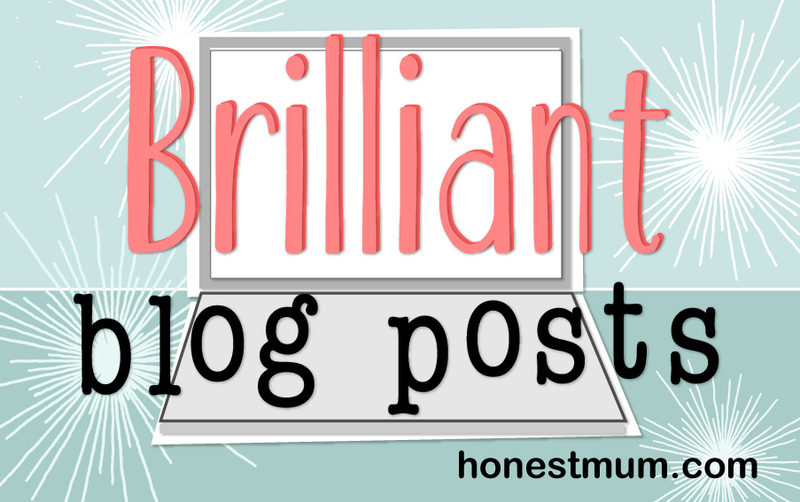 I’m linking this post up with Brilliant Blog Posts hosted by Honest Mum.